Are you an immigrant spouse who is being abused at home? Are you the child of a U.S. citizen or lawful permanent resident who is experiencing domestic violence? You may want to escape, but worry that you will face deportation if you do. This is especially difficult if you depend on your spouse or abusive stepparent for your legal status in the United States. Immigrants who are being abused or are victims of certain crimes may be able to gain legal residency to the United States through a self-petition. At Coleman Jackson, P.C., you will find a Dallas immigration and domestic abuse attorney who assists immigrants who have been victims of domestic abuse or a crime, and would like to remain legally in the United States. We assist people in Dallas, Texas, and the surrounding area. A self-petition is different from a family immigration petition because you do not have to depend on a relative or spouse to sponsor you. If you are being abused, the Violence Against Women Act (VAWA) gives you the ability to file a self-petition for a visa. The VAWA is a powerful law designed to protect aliens who have been abused. It allows male and female spouses, children, and parents of U.S. citizens or permanent residents to file a visa petition for themselves. The abuser does not need to file on your behalf and does not even need to be notified. In addition to domestic abuse, victims of certain crimes committed in the United States may also be able to seek residency in the United States through a self-petition under a U visa. Our law firm will gather information about your situation in a confidential, caring and professional environment that is sensitive to your needs and your culture. A VAWA petition is a special protective law preserved for special circumstances when an immigrant is being abused physically, mentally or emotionally. We will determine whether a self-petition or another option is appropriate for you, will advise you clearly of your options, and our experienced lawyer will guide you through the process. 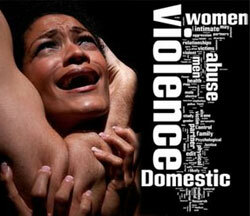 If you are being abused or are the victim of certain crimes, contact our office to see how we can help you. Schedule an appointment by call 214-599-0431 or contact us online.